One of the most common questions readers ask me is “How is the mobile phone connectivity in Spiti Valley?”. Mobile communication or staying connected with our loved ones is an integral part of our lifestyles in this modern era. Unfortunately, things aren’t as rosy as we may assume when it comes to communications or staying connected in the remote parts of the Himalayas. 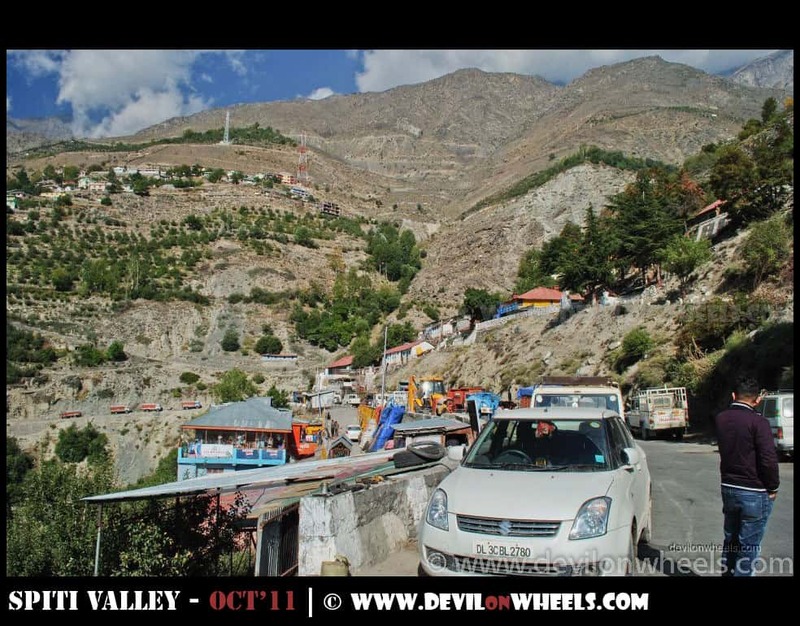 Well, I know that with the start of every season of Spiti Valley I will have to answer these questions and hence, in this article today, I will share some tips on mobile phone connectivity when traveling to Spiti Valley from Manali and via Kinnaur Valley. Given below are some tips which will surely help you to set your expectations right in terms of phone connectivity before you make a trip to Spiti Valley or Kinnaur Valley in the upcoming season. I have tried to cover the phone connectivity over Hindustan – Tibet Highway and NH-05 and also talked about mobile connectivity on Manali to Kaza road. The article also talks about the what kind of mobile connections you get within Spiti Valley region as well. Please read them carefully before planning for your next road trip to Spiti & Kinnaur Valley. Many people confuse Spiti Valley with Ladakh. However, it is different and even the boundaries of the states are different. 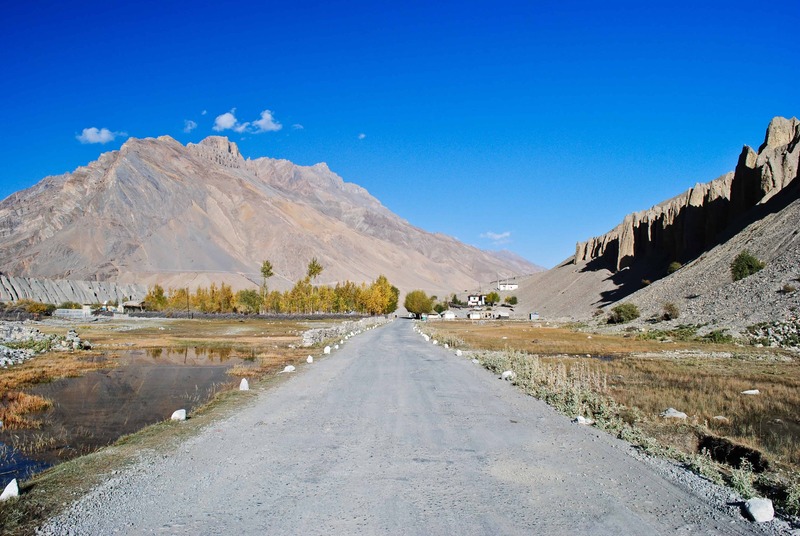 Ladakh lies in Jammu and Kashmir state while Spiti Valley lies in Himachal Pradesh. Hence, the communication rules applied are also as per state law regulations. Unlike we read in the article on Phone Connectivity in Leh – Ladakh, there is no restriction of usage of pre-paid mobile connections of other states in Himachal Pradesh. Hence, as long as you can find a signal, even your pre-paid connections will work just fine in Spiti Valley and Kinnaur Valley. Only BSNL/MTNL connection will work in parts of Spiti valley and has the widest coverage of connectivity. The quality may not be that good always. So, carry a BSNL or MTNL connection with you. Other networks just remain dead and Airtel works only in Kinnaur Valley up to Spillow, just ahead of Kalpa/Reckong Peo in Kinnaur Valley. Airtel also works up to Gramphu while coming from Manali to Kaza. I personally prefer wide coverage over better quality any day because at least you can convey your message by SMS if you have connectivity with you. However, sometimes SMS also does not work. Having said all that, the connectivity and reach has greatly improved in the last few years and improving every year. When you travel from Shimla to Kinnaur Valley both Airtel and BSNL connections work almost up to Spello village and goes somewhere between Spello and Puh. Both Airtel and BSNL connectivity is available in Sangla, Kalpa, Chitkul and Reckong Peo. Spello is about 42 Kms from Reckong Peo and Puh is further 28 km from Spello. The connections go about 8-10 KMs ahead of Spello. Then, you will get BSNL connectivity around Puh which goes away a few km after you cross it. Only when you reach Nako, you again get back the BSNL connectivity which again goes away up to Tabo, where it comes back again. If you are traveling to Spiti Valley from Manali side, then, in that case, you will get phone connectivity up to Manali for all major network carriers. Once you move towards Rohtang Pass, connections work little ahead of Marhi and then fades away until you reach Gramphu. 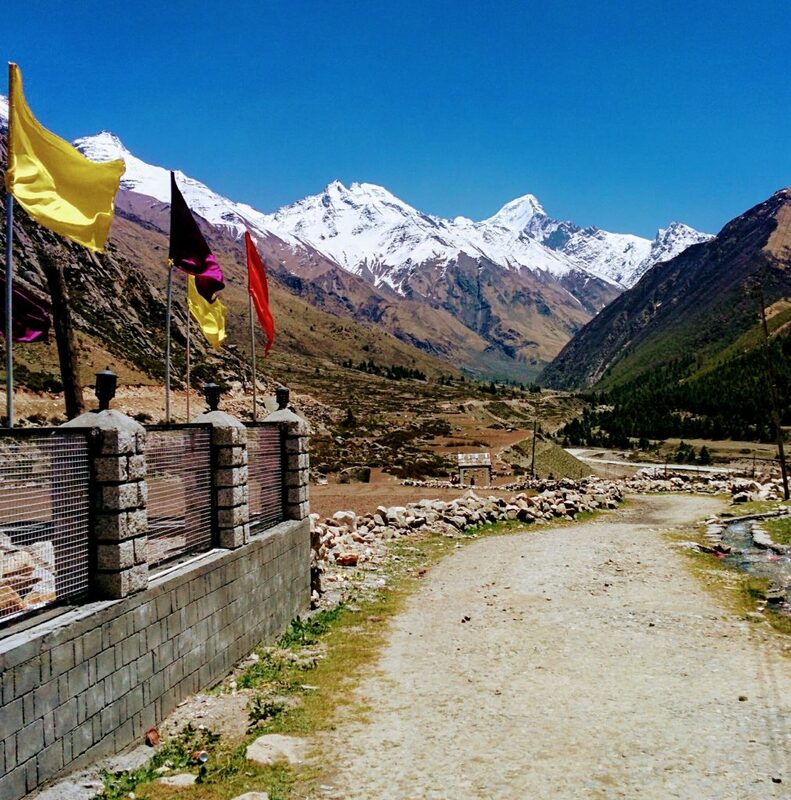 At Gramphu, you will get weak signals of both Airtel and BSNL but vanishes once you enter the road to Spiti Valley. After crossing Gramphu, you enter a desolated, deadliest and a network dead zone. There is no connectivity on this stretch of about 85 KMs, Gramphu (66 KMs) – Chattru (81 KMs) – Chota Dhara (98 KMs) – Batal (113 KMs) – Kunzum Pass (131 KMs) – Losar (151 KMs). Once you reach Losar, the BSNL connection works if the generator powering the tower is operational/running. There is no phone connectivity on the route from Batal to Chandratal as well. Even at Chandratal lake no mobile connection works. Tabo does have BSNL connectivity but as soon you cross it, there is an intermittent network all the way up to Kaza. Pin Valley also have intermittent connectivity and so as adjoining villages like Mane village, Dhankar village, Lhalung village. Once you reach Kaza, you get better and quite stable connectivity. However, even the BSNL connectivity at Komic and Kibber villages is very poor but the connections work fine at Key monastery, mostly. When you move from Kaza towards Losar – Kunzum Pass, then you will get connectivity up to few km ahead of Rangrik village. After that for about 40 km, there is no phone connectivity up to Losar, where you get the phone connectivity if power is available. There may not be any phone connectivity in Spiti Valley during the winter months. It all depends upon the damage caused by the snow as at times the connectivity poles are blown away by snow or gets buried under snow. On Manali – Kunzum Pass – Kaza route, Batal has a satellite phone installed at Chandra dhabha. It is available at Rs 2/minute for STD/ISD to make a call in case of emergency but again keep it only for emergency only 😛 😉 ..
Who knows, abusing such life-saving emergency facilities may end up in a lost cause in real emergencies and you could be the one to suffer too. Hence, use such facilities only in case of emergencies, not for any personal use. Internet or Data connectivity in Spiti Valley is mostly limited to 2G/GPRS that too around Kaza only. The 3G connectivity is rarely experienced and of course, do not match up speeds you are used to in cities. Never plan a Spiti Valley trip dependent upon on the mobile or phone communications. If you feel that you will call someone to prepare for next day plan or help find better stay or just make that office meeting decision over the phone, then better be on your own as at times even Kaza may be out of connectivity as well for weeks. Hence, plan or mitigate everything before venturing into this road trip to Kinnaur and Spiti Valley. Be ready to be proactive & disciplined because at times in remote places the mobile connectivity tower will work just in the morning working hours and/or when there is electricity available. For example, the BSNL tower at Losar village works on the generator and is shut down at night. So, make the best use of connectivity that you might get any time in the day or night at any remote place in order to connect with your family and friends. This is mostly usual at places with connectivity other than Kaza. Hence, tell your family and friends too about it before leaving for a Spiti Valley trip. They may not be able to connect through due to same issues also, so nothing to worry about as it is usual in general. When you are in Kinnaur Valley, in general, you will get the mobile phone connectivity at most places. Electricity in Ladakh or Spiti Valley may be erratic and in case you are sleeping overnight at some remote place, power banks may come in handy not to restore the power of your phone but to enable them to take more pictures and videos too. The places like Chandratal, Langza, Hikkim, Komic, Pin Valley, Dhangkar, Kibber, etc.. may or may not have electricity. Sometimes the electricity is available in morning/evening only. So, having a good backup power bank could really prove helpful to charge your mobile phones on regular basis. I wonder how much more I use my iPhone camera now than my DSLR camera only because of ease of use, flexibility, feature and even transfer/share of pictures in instant. Hence, it is not just talking time or SMS that I require battery power on my phone. Hence, while traveling to remote places in the Himalayas like Ladakh, Zanskar Valley or Spiti Valley, it is always wise to carry a good power bank of 20000 mAH. Does Reliance Jio network in Kaza? No, there does not exist any Reliance Jio network in Kaza as of now. Only BSNL/MTNL connections work in Kaza. Does Jio work in Spiti Valley? No, there is no coverage of Reliance Jio network in Spiti Valley. Only BSNL/MTNL connections work in most parts of Spiti Valley. Do I get signals of Vodafone in Spiti Valley? There is no Vodafone network in Spiti Valley. When traveling to Spiti Valley from Manali side, Vodafone signals will die as soon as you are about to reach around Rohtang Pass. Once you take the Gramphu road there will not be any Vodafone signal. Once, you cross Kunzum and enter Spiti, you will not find any signals of Vodafone network in entire Spiti Valley. It is only when you cross Nako and is about to reach near Reckong Peo, you will get signals of Vodafone. And then once you exit Kinnaur Valley, Vodafone connection will be there with you all the time till Delhi. Does Airtel mobile connection work in Spiti Valley? Airtel connection does not work in Spiti Valley and only BSNL or MTNL connections work in Spiti and its nearby villages wherever any possibility of network connection exists. When you travel from Shimla side, Airtel will works for you in Sangla Valley and very spotty in Chitkul or nearby. Once you reach Spillow village after crossing the turn of Reckong Peo on Hindustan – Tibet Highway, even the Airtel connection will die. There will be no signal on your Airtel phone then rest of Kinnaur Valley and once you reach Spiti Valley including villages like Pin Valley, Tabo, Dhankar, Kibber etc. 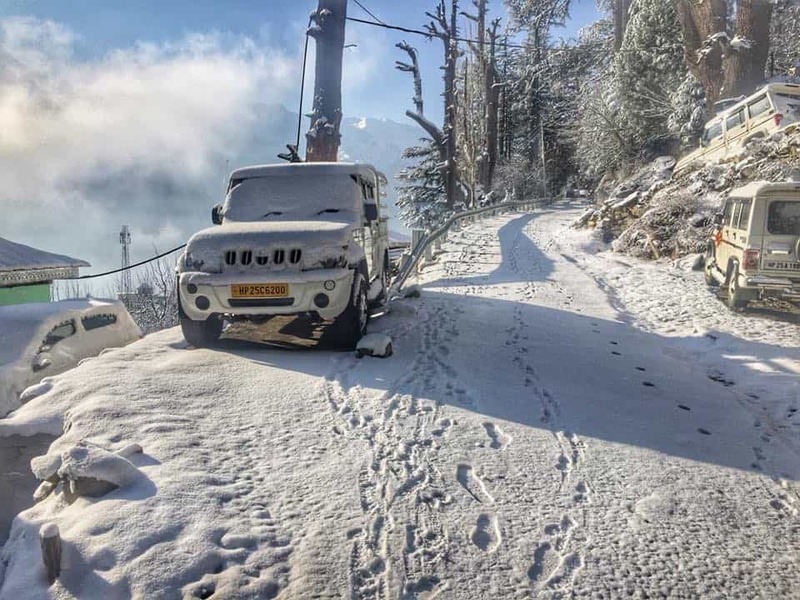 It is only when you cross Kunzum Pass and Batal to Gramphu road and start the ascend to Rohtang Pass near Gramphu, the Airtel mobile signals will come back again to remain with you up to Delhi from Manali. Does BSNL network work in Spiti Valley? Yes, BSNL network has the widest coverage in Spiti Valley and Kinnaur Valley including border village of Chitkul. So, if you need mobile phone connectivity on your road trip to Spiti Valley, then you must carry a BSNL or MTNL mobile sim with you. 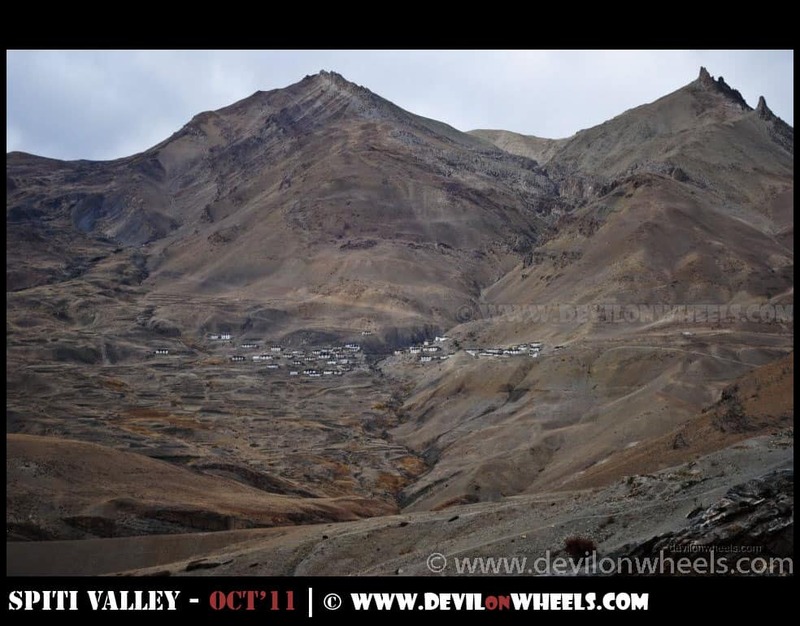 What are the mobile networks working in Spiti Valley? Only BSNL or MTNL mobile network works in Spiti Valley including the villages like Kaza, Tabo, Dhankar, Pin Valley, Key, Kibber, Langza, Komic, etc.. There is no other network including Reliance Jio, Airtel or Vodafone that works in Spiti Valley. What is the status of mobile network in Chitkul? MTNL or BSNL mobile network is available in Chitkul starting 2013. Airtel has a very spotty coverage near by Chitkul. Which mobile connection works in Chitkul? Both MTNL and BSNL mobile connections work in Chtikul. Airtel, Jio, and Vodafone do not work in Chitkul. Which mobile connection works in Sangla Valley? In Sangla Valley, majority of mobile phone connections works including Airtel, MTNL/BSNL and Reliance Jio. However, I will recommend carrying a BSNL / MTNL mobile phone connection on a trip to Kinnaur and Spiti Valley. Which mobile connection works in Kalpa? All major mobile phone networks including Airtel, Vodafone, MTNL/BSNL and Reliance Jio works in Kalpa and Reckong Peo. Does mobile connections of BSNL or Jio work in Chandratal? There is no mobile connectivity of any network at Chandratal. So, neither BSNL nor any other network has any connection available at Chandratal lake or even Batal. Does Internet work on a mobile in Spiti Valley? BSNL does have Internet connectivity in Spiti Valley and Guling village in Pin Valley. However, the Internet connection speed is barely limited and stays around 2G connectivity and speed limits. Does prepaid mobile phone works in Spiti Valley? Well, unlike Ladakh, prepaid mobile phones work in Spiti Valley and there is no need to buy a postpaid connection for your trip to Spiti Valley. What is the status of Kaza Internet or Internet in Spiti Valley in general? Well, Internet is mostly limited to 2G/GPRS connection in Spiti Valley, majorly around Kaza and some parts of Pin Valley like Guling village. You might see 3G signal occasionally but still the speeds will be of no match. I hope the above tips on mobile phone connectivity in Spiti Valley and Kinnaur Valley will help you plan your next trip to the region in better and expected way without any surprises. In case, you have any questions, tips or story to share on Spiti Valley or Kinnaur Valley, feel free to post them either in the comments section of this article below. This article has been updated with the latest information about phone connectivity in Spiti Valley and Kinnaur Valley. It is kept up to date every season to reflect the current status. Feel free to suggest any further updates you deem fit. If you know any of your friends and family planning a trip to Spiti Valley, please feel free to share this article with them. What about being able to charge our phones/camera batteries? Where can I find charging points for those? Do Bsnl sim cards registtered ONLY in spiti or himachal work there or bsnl sims from outside himachal/spiti also work? Ria, in Himachal BSNL/MTNL phone connections even outside Himachal also work without any issues including both pre-paid and postpaid connections. In Leh – Ladakh, the only postpaid connections outside J&K state works. Is the connectivity the same in 2017 as mentioned above? Aanand, it is more or less the same. Not much has changed in terms of signals.